Become aware of your life traps and free yourself from the clutches of your negative emotions to achieve what you really require! By recognizing the impact of your past, you will mature into an increasingly whole adult human being. Do you make inordinate demands on yourself? Do you sacrifice your own needs? Do you repeatedly find yourself in awkward situations as to your human relations? Do you sense that behaving a certain way is harmful to you, but that you are incapable of changing? With the help of illustrative descriptions and examples, Know Your Life Traps. Free Yourself From the Clutches of Your Negative Emotions helps you to identify the stumbling blocks in your emotional life and their impact on your behaviour. It guides you through re-evaluating the effect of your past on your present situation, and assists you in discovering alternative solutions to the challenges in your life. The book helps you to finally achieve what you have always truly and most profoundly desired. The book includes comprehensive descriptions of the characteristics of a total of 18 life traps as well as tests with which you can outline your own negative emotional patterns and their origins. The book also offers several practical exercises based on schema therapy, enabling you to help yourself to free yourself from your life traps. Know Your Life Traps is a true bestseller, having sold over 55 000 units in Finland to date. 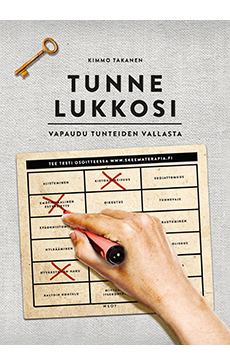 Kimmo Takanen’s popular life trap test now available also in English !